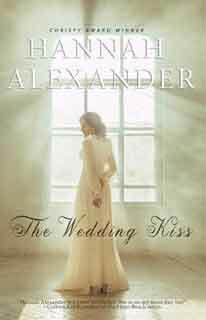 The Wedding Kiss released March 2018. Buy it on Amazon Kindle now! Be on the lookout for a new, improved version of The Wedding Kiss coming soon. Against the charming backdrop of 1901 Eureka Springs, Arkansas, one simple kiss draws two people into a discovery that will forever change their lives. Marriage seems the only option for Keara McBride and Elam Jensen. Her father's gambling problem has left her homeless; his children need a mother's care. But when the Jensens seal their vows at the altar with a kiss, their marriage of convenience suddenly becomes far less convenient. Their first kiss ignites sparks of attraction and leaves them both feeling guilty about betraying the memory of Elam's recently deceased wife--who was also Keara's best friend. Then a mysteriously injured visitor shows up on the wedding night, threatening to draw them into deadly danger. But does she also hold the key to the Jensens' future happiness? A Living Soul, Book 3 of the Hallowed Hall Series. A disturbing telephone call sends Dr. Serena Van Buren into the nighttime wilderness in search of a suicidal teenager. Working alongside ER doc, Carson Tanner, Serena finds her own pain bubbling to the surface. How will Carson handle the confession she must make before they can explore their growing friendship? Can Serena and Carson deal with the past in time to handle the present catastrophe that threatens Serena’s free clinic—and her own family? A Lot of Class Book 4 of the Hallowed Halls Series. What happens when the truth comes out and an angry man threatens the careers of many?